Since we came back from France, I’ve been reading. A lot. I hardly read for the month we were away. When we were in Paris, I started a book by Laura Lippman, whose writing I usually like. It’s about two teens, who were convicted of abducting and killing a child when they were thirteen. The book starts with their release from prison and their attempts to rebuild their lives. But twenty or so pages in, I knew this was NOT going to go well. I reread the blurb on the back of the book: “And now another child has disappeared, under freakishly similar circumstances…” What the heck had I been thinking? This was NOT what I wanted to be reading on our holiday. I set it aside. Paris was calling me, anyway. No time for reading. Then a week or so later, I tried to read a book that I had downloaded onto my i-pad. 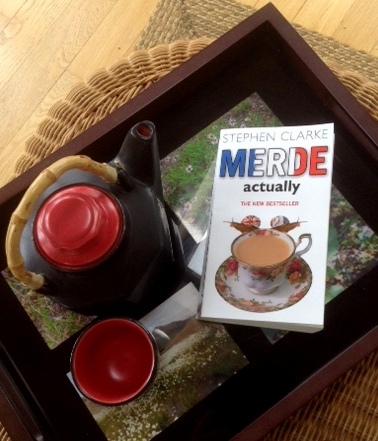 It was a mystery set in France; it should be appropriate holiday-in-France reading, non? Sigh. I simply could not adjust to reading on the screen. Really, really did not like it. Plus I didn’t really like the book. Plus I kept switching away to read blogs. Or Instagram. I gave up. So no reading, of books anyway, for me, for most of May. But the day after we came home… actually it might have been the same night we came home… I got stuck into a book. Right after I started the first load of laundry (of course) and made a cup of tea. This is the book I read first. I picked it up at the airport in Paris when I was wandering/waiting/trying not to sit down too much right before I would have to sit for seven hours on the plane. Hubby and I always do this, take turns going for walks, while we wait in airports. The next book I read was the newest Adrian McKinty. 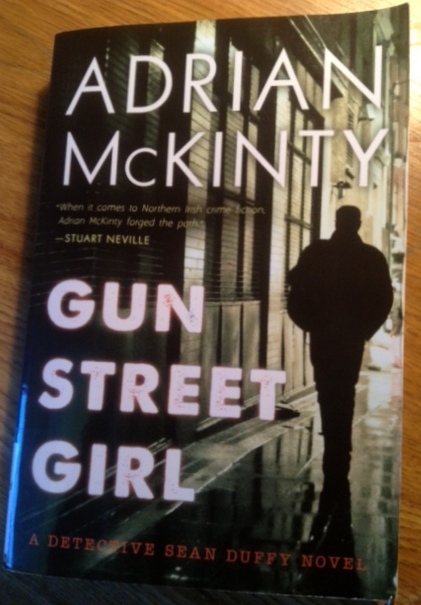 Gun Street Girl is the fourth book in McKinty’s series set in 1980’s Belfast during the “Troubles.” His character Sean Duffy is a Catholic detective-inspector in the almost entirely Protestant RUC (Royal Ulster Constabulary.) McKinty is a fabulous writer. A must read as far as I’m concerned. That’s all I’m going to say about the book now because I’ll be doing a mystery and crime post in a week or so. Right now I’m reading The Greengage Summer by Rumer Godden. I can’t remember where I heard about this book; maybe I read about it last year on someone’s recommended book list or in an article somewhere. Anyway we’re reading it for one of my book clubs this month. And it’s a perfect summer read. Set in the 1920’s, it’s the story of the Grey children and their summer on the Marne River in France. Their planned holiday adventure aborted due to the illness and hospitalization of their mother, they wait for her recovery at Les Oeillets, under the “care” of Eliot, a charming Englishman who comes to their rescue, his lover Mademoiselle Zizi, the cook Monsieur Armand, an odd assortment of house maids and desk clerks, and Paul the orphaned serving boy. Rosie Thomas in her Guardian article, describes Godden’s books as having a “timeless shimmer,” as having “never lost a shred of their almost hypnotic appeal.” Although Thomas is speaking specifically of Godden’s India books, the timeless quality and hypnotic appeal, certainly apply to The Greengage Summer. I was captivated immediately by Godden’s luscious descriptions which evoke those hot and endless summers of childhood. 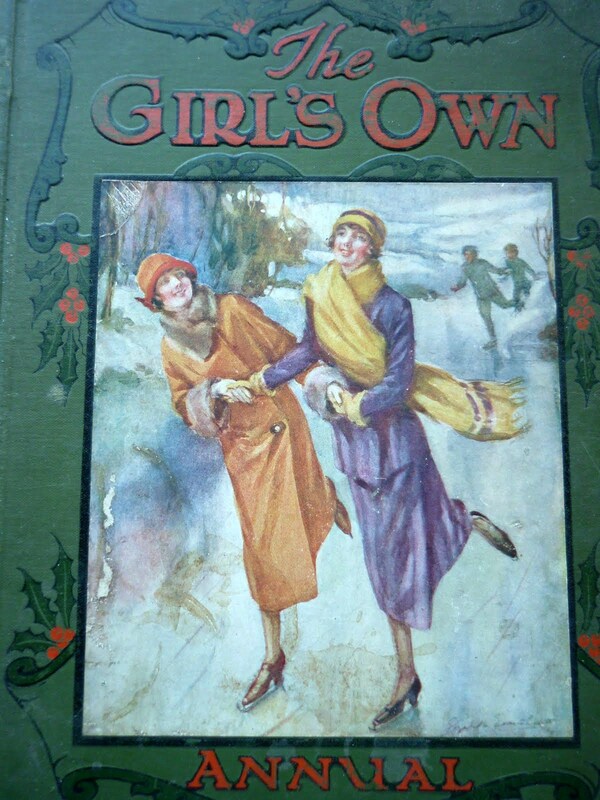 And by the Girl’s Own Annual type of story, of children left to their own devices, with minimal adult supervision, and the ensuing mystery, adventure, and loss of innocence. I’ve never actually read the Girl’s Own Annual, but growing up, we had a bookcase of boy’s books that had belonged to my father. And I remember devouring the Boy’s Own Annual, reading how to make your own ice boat and such things. And of course I read Nancy Drew and Trixie Belden avidly. And dreamed of that magical place where children sailed ice boats and had amazing adventures with no interference from adults. 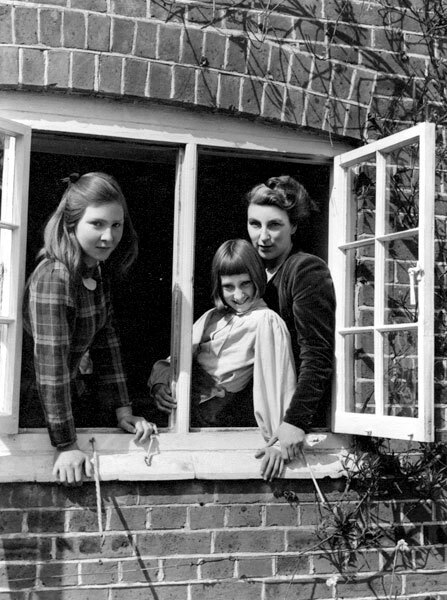 The Greengage Summer is based on actual events that happened the summer Godden was fifteen. When, just like in the novel, her mother took Rumer and her siblings to France to see the battlefields, so that when the children saw “the rows and rows of crosses for those young men who gave their lives for [them], it might make [them] stop and think of [their] selfishness.” And just like in the novel, Rumer’s mother fell ill and events did not go as planned. It seems that most of Godden’s early life could have been lifted from the pages of fiction, with her adventures in India, Calcutta, and Kashmir. I love that she once said, “I always thank God that we did not have sensible parents.” The shot below is of Godden and her two daughters in 1949. Gorgeous cheekbones obviously run in that family. I hope that I like Rumer Godden’s other books as well… I just ordered a couple from our library. 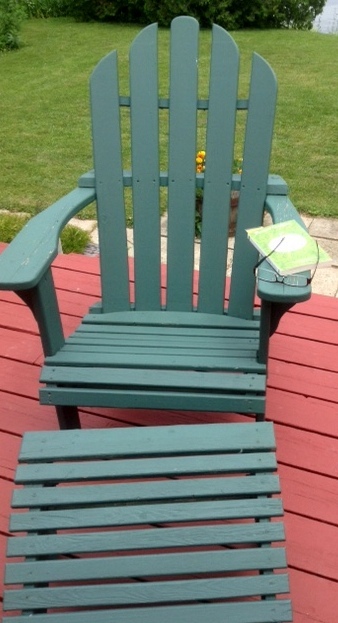 Summer is a great time for reading, and a great time to explore new writers. So, while I was on the Ottawa Public Library website, I also ordered a few more books by writers who are new to me. Like the book below by American writer Vendela Vida. I had never heard of her until I read about her latest book The Diver’s Clothes Lie Empty in the June issue of Vogue. (It’s not just for fashion, you know.) 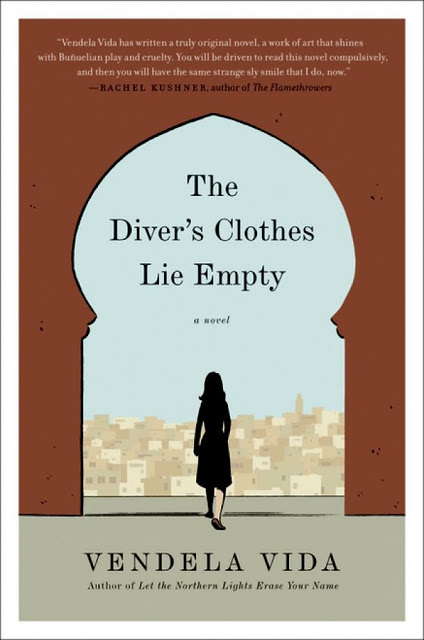 The idea of a novel set in Casablanca, and involving mystery, intrigue and self discovery seems made for summer reading, doesn’t it? And Vida’s work is highly praised in articles in The New York Times and The Guardian. Just to be sure, I checked out the first few pages of the novel on Amazon.com. I tell you, I was hooked. Can’t wait to read the rest of the book. And I ordered this first novel by French writer Philippe Georget, a mystery set in the tourist town of Perpigan, on the Mediterranean, during “a long hot summer.” Detectives Sebag and Molino, bored with the seemingly endless array of petty crimes and plagued with their own “existential angst” encounter a few juicy and entirely unexpected murders. What’s not to love? Sounds like great camping reading to me. And I love the title. 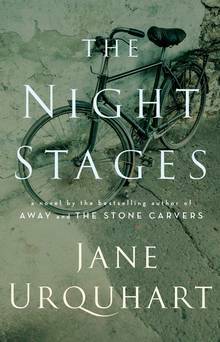 I also have yet to read Jane Urquhart’s new novel, The Night Stages, set in Ireland. My friend Susan and I attended an Ottawa Writer’s Festival luncheon in April, where Urquhart read from her book and we had a lovely lunch. But Paris was looming and I didn’t ever get around to reading the book. But I will. Soon. And here’s one book that I’ve decided that I won’t be reading. I heard an interview with Daniel Levitin on CBC radio a few months ago. He talked about the brain, as well as how in today’s wired world we are “drowning in data,” and “are expected to make more and faster decisions about our lives than ever before.” He went on to discuss how this information overload affects us, and what we might do about that. The interview was fascinating. 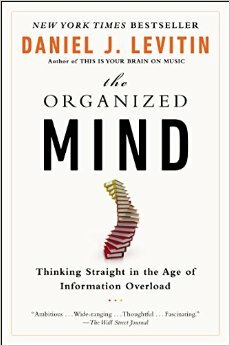 But from reader reviews on the OPL website, I gathered that Levitin’s book The Organized Mind: Thinking Straight in the Age of Information Overload is somewhat less fascinating. One reader said that at 496 pages, the book itself was contributing to “information overload.” Another said that while the advice Levitin offered might be useful, he doubted if anyone would follow it. This reader went on to say that maybe someone should write a “self-help book on why we ignore self-help books.” And then I saw that there were 506 holds on the book. If I wanted to read it I would be 507th in line. Gad. By the time I made it to the top of the list I’d probably be too deep into senility to care, anyway. So that’s some of what I’ve been up to the last couple of weeks… as far as reading goes anyway. And a few books that are on my ever expanding, and growing longer every day, summer reading list. Now I really must get back to my chair; I haven’t finished the Rumer Godden book. And I’ve a stack of other books waiting on deck. On deck. Not on the deck… get it? Oh, not funny. I think I’ve been blogging too long. 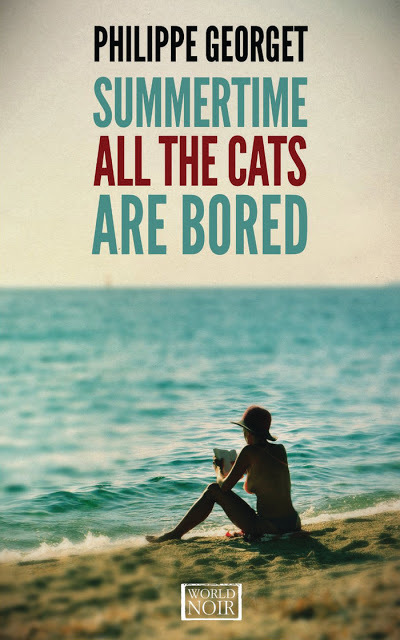 What are you reading this summer? Do tell. One’s list can never be too long. After all, there’s nothing to say that a summer reading list can’t morph into an autumn reading list, is there? An Education – Autobiog by journalist Lynn Barber – you might not like her but she's very honest . The films great too. The Red Notebook by Antoine Laurain – I don't read pure romances but this a quirky little Parisian one . Thanks for these, Wendy. I will endeavor to track some of them down at our library. I'm finding that I am buying fewer and fewer books each year. And loving the library more. Speaking of Alan Bennet, have you read The Uncommon Reader? It was one of the best little books I have ever read. Loved it! Great suggestions! Enjoy your reading. Thanks for the recommendations – I especially love mysteries, so I'll be checking out those picks in particular. The descriptions of The Greengage Summer remind me a little of a book I received once as a prize at primary school. Brothers and sisters go to Germany to stay with relatives after one or both parents die and the book recounts the summer they spent there – I was so enamoured with it that I took German in secondary school, did a degree and ended up living in Germany for a decade! Happy reading! And thank you Wendy in York for your recommendations – you had me at 'quirky' and 'Parisian'!! Wow…that book made quite an impression. I'm with you about "Quirky and Parisian!" Love the feel and smell of books! Book books. Can't get used to seeing and reading on a screen. Let me know when you're ready for some Christmas reading . . .
Me too, Diana. And it's funny because I am all over the computer and love my i-pad…. but I really just want a book to be a book. I LOVED The Greengage Summer when I read it in my teens, eons and eons ago. It sounds as if I still might. Of course, I scarcely remember anything of it nor of the other Godden books I read my way through (thanks to Miss Ellison, the Children's Librarian who discreetly managed to get me an Adult's card as soon as I hit 12). But I know I really loved The Battle of the Villa Fiorita, a title that I confuse sometimes with The Garden of the Fitzi Continis. . . both were made into movies (as was The Greengage Summer, in the 50s, I believe). What a coincidence — I've got that Perpignan mystery in my list of books to look for. The series was included in an article on French noir that I came across quite some time ago. I'll look forward to hearing what you think of it. That David Sedaris comment is hilarious. I must see if I can find the essay. Greengage Summer reminds me of books I read long ago, as well. I so loved the red brick library in our little town. Glad to find book reviews in your post, I intended to say thanks, and something else also, but not specific. Then I saw your mention of P. Georget's mystery set in Perpignan …so now I still say thank you, but in all caps, with tons of exclamation points, for I truly love books set in France, especially fiction, in either language. Do you know Izzo's trilogy set in Marseille? Dark, more violent than I am quite comfortable with, but so good. Available in both languages. You're welcome. And thanks…I'll check out that Izzo trilogy. P.S. Thanks for the link to your cyclist's view of Mont Ventoux. Hubby and I both enjoyed it. Hello, I have just recently discovered your blog and have been having a wonderful time going through the archives and making notes on reading recommendations! I got Away from the library today and started reading it on the bus ride home…nearly missed my stop. Glad you're enjoying the Jane Urquhart book, Georgia. I've reread books and done the same thing…remembered parts and enjoyed other parts as if for the first time:) Memory lapses can be good, sometimes! A few weeks ago I decided to have a "Rumer Godden Summer", finally tackling books I'd picked up over the last few years. After reading this post, I started with "The Greengage Summer" ; ) It's wonderful how the author can create a world so seamlessly that I forget I'm reading. I'd plowed through most of these novels a teenager. Re-reading them now, (albeit with reading glasses), is both fresh and nostalgic, so thank you for the nudge. I've enjoyed your blog for quite a while, but have always felt a little too behind to comment. Smile. You're right…Godden does put you in another world through her writing. I think it's the barrage of imagery. And the way she writes Cecil's thoughts and observations so acutely, and concretely without "adult" explanation. So glad you've enjoyed my blog, Beverly. Thanks for that. 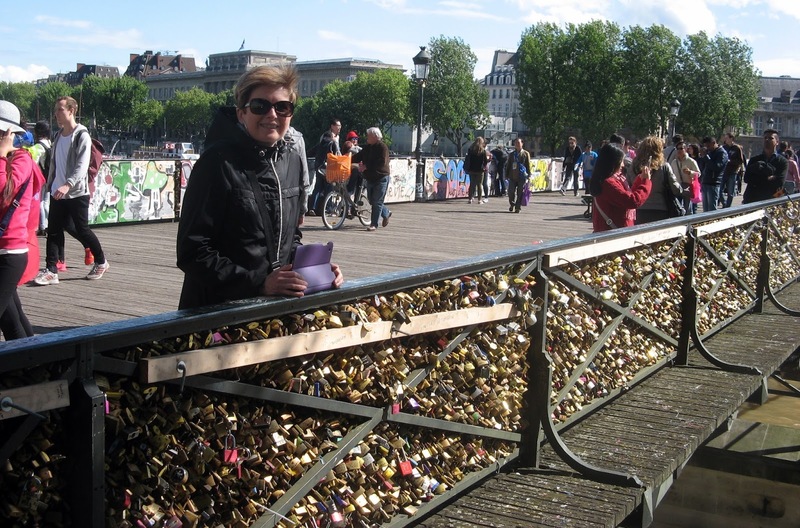 I recently discovered your blog and enjoyed your travels in France. You may enjoy Martin Walker's Bruno, Chief of Police series set in the South of France and Daniel Silva's Gabriel Allon series. I'm not familiar with either of those series. Thanks for the suggestions, Mary. I will definitely check those out. Funny, I had left a comment here yesterday and it's not here. Guess it didn't go through? Anyway, I was commenting on Rumor Godden. Years and years ago I read "An Episode of Sparrows" and then reread it just last year. A thoroughly charming book that I recommend highly! Yes, I've read "Merde" and enjoyed very much! So sorry about that, Libby. I don't know what happened. I'm really enjoying The Greengage Summer. And I've ordered a couple more of Godden's books….although not the one you read. I find he library mostly stocks her children's books. Gun Street Girl sounds like my cup of tea. At the moment I'm reading two books to review on the blog, one by a young woman with anorexia, the other by her mom. Compelling, and difficult. I'll be interested in reading your reviews of those books. Having encountered a few students over the years with anorexia, I'm sure the reading is as you say…"compelling and difficult." I'm hoping I like the Vendela book…she has several and it's so great to find a new author and then have to catch up with all their books. It is cute isn't it? My nephew bought that set for me. Love book recommendations! Thanks for sharing with the Thursday Blog Hop! Thanks Pam. And thanks as always for hosting. I love your pictures – the layout of your blog is always so appealing. 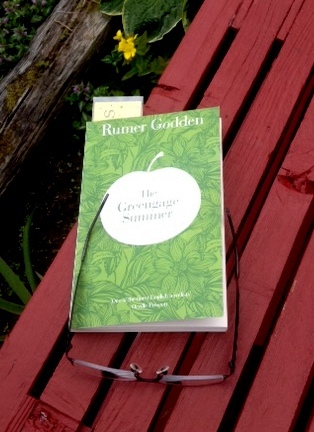 I like Rumer Godden, but don't think I've ever read the Greengage Summer, I must find a copy. I usually like Laura Lippmann very much, but I think I prefer her Tess Monaghan series to the standalones. Thanks so much. I really liked Greengage Summer…so evocative of those long summer days as children. And I just loved the characters. Especially the little boy (Willmouse) who loved to make dresses.